Markets have taken a vertiginous plunge today, with Bitcoin losing almost $500 on the day to dip below $7,000 and all the top ten crypto assets in the red. 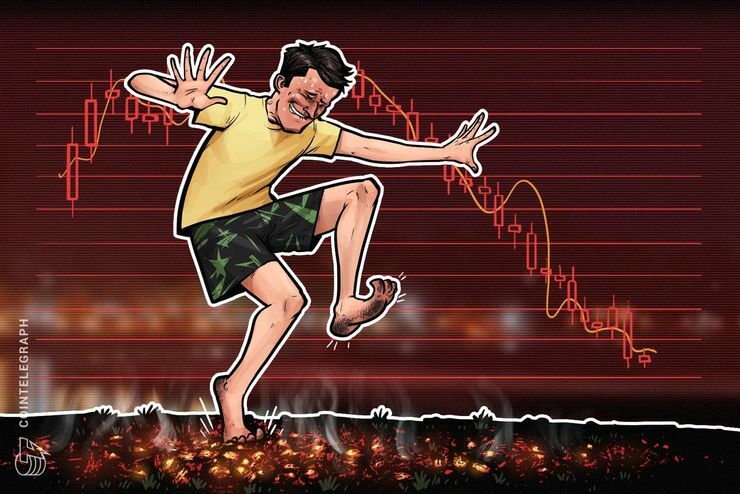 Crypto markets have taken a vertiginous plunge today, August 4, with Bitcoin ( BTC) losing almost $500 in the six hours before press time to dip below $7,000, and all of the top ten cryptocurrencies by market cap in the red, as data from Coin360 shows. Bitcoin ( BTC) is trading around $7,028 to press time, having lost almost $500 on the day to plummet to a price point not seen since July 17. The leading cryptocurrency has seen an intra-day low of $6980, with some crypto analysts today noting that $6,800 has become its short-term critical support level. Bitcoin’s price percentage loss on the day is near 7 percent, with a weekly loss of about 15 percent and monthly gains squeezed to just 5 percent. Ethereum ( ETH) has seen a markedly less pronounced drop on its daily chart, losing just over 2 percent over a 24-hour period to press time to trade around $404. The altcoin’s fortunes have been shaky much of the week, having seen jagged losses since July 29, when the asset was still trading as high as $470. On the week, Ethereum is down over 13 percent, with monthly losses at nearly 15 percent. Thanks for another excellent post. Where else may just anybody get that type of information in such a perfect approach of writing?